This frog is real, I swear. 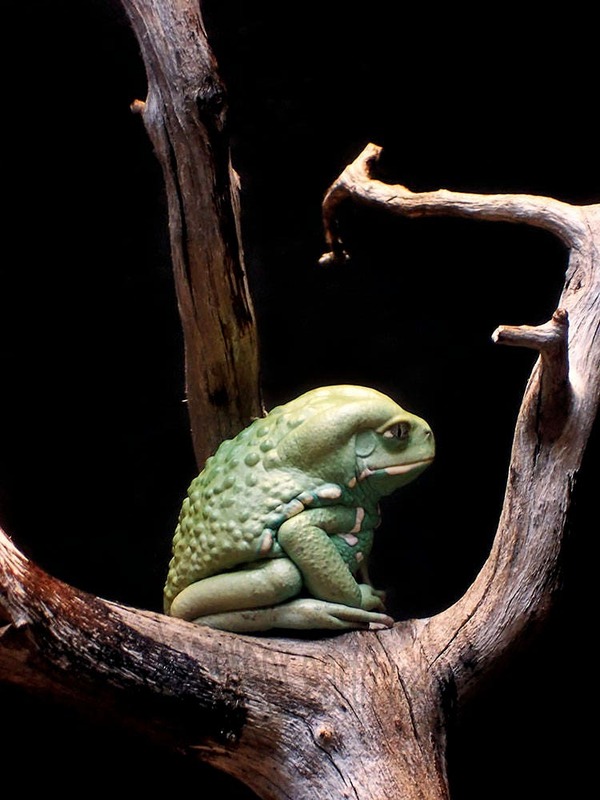 It is a "waxy monkey frog," aptly named. It doesn't move much, it just sits there like a fake, wax frog.